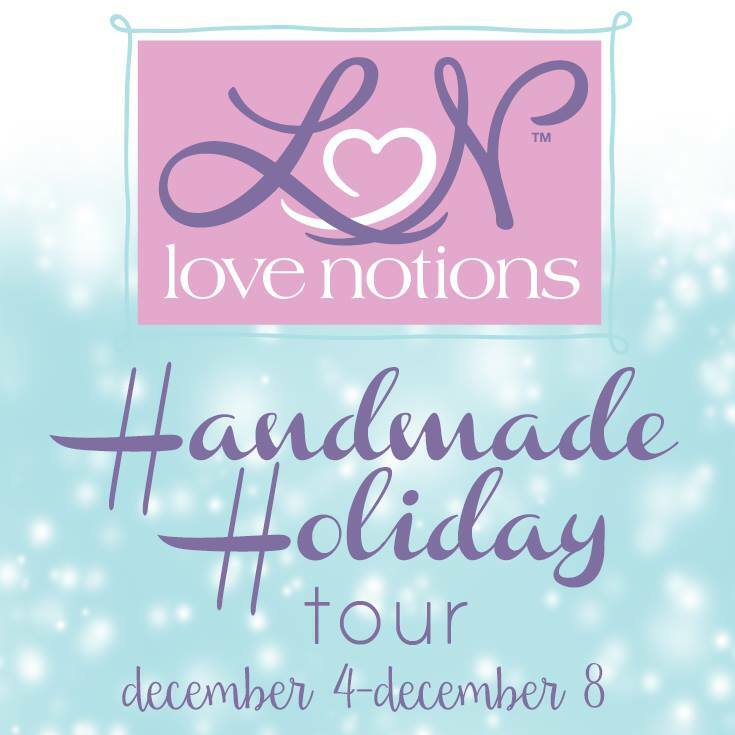 The holidays are upon us and it's full steam ahead with gift giving AND MAKING! 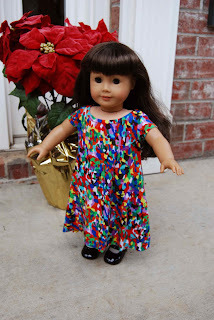 My seven (and three quarters, as she so proudly adds) daughter LOVES her American Girl doll, Samantha! 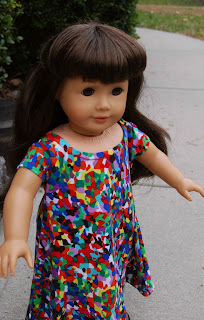 I joke that Sam is the fourth member of our little family because she joins us on vacations, holidays and life in general. 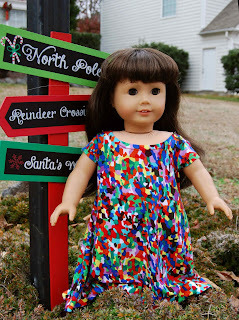 ;) That being said, I typically end up sewing up something for Samantha to "unwrap" Christmas morning. Hahaha! 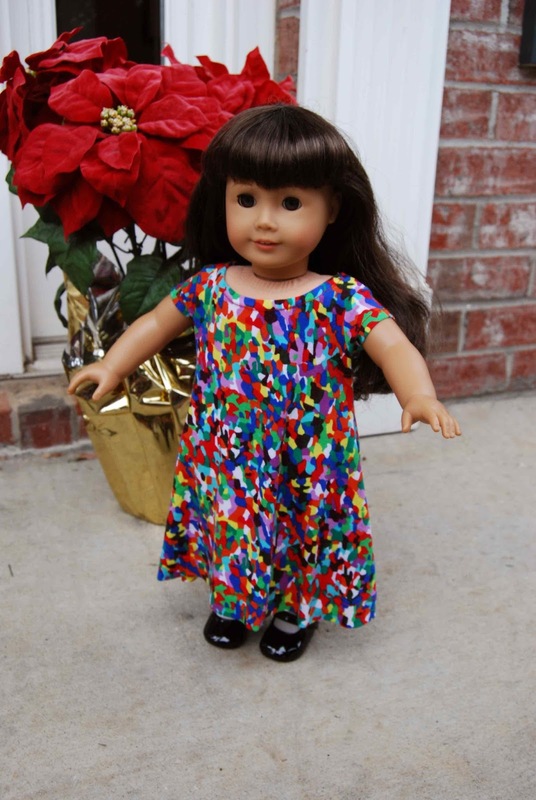 Missy is going to LOVE matching her doll! 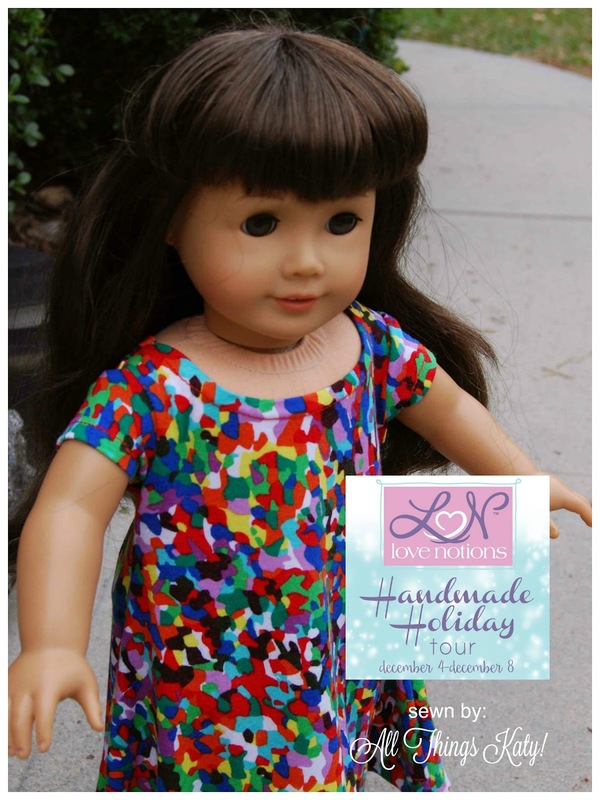 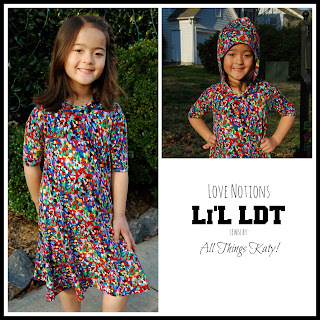 The Love Notions Dolly Laundry Day Tee is the perfect, quick knit pattern to use up large fabric scraps AND gift to all the special little girls on your Christmas list! 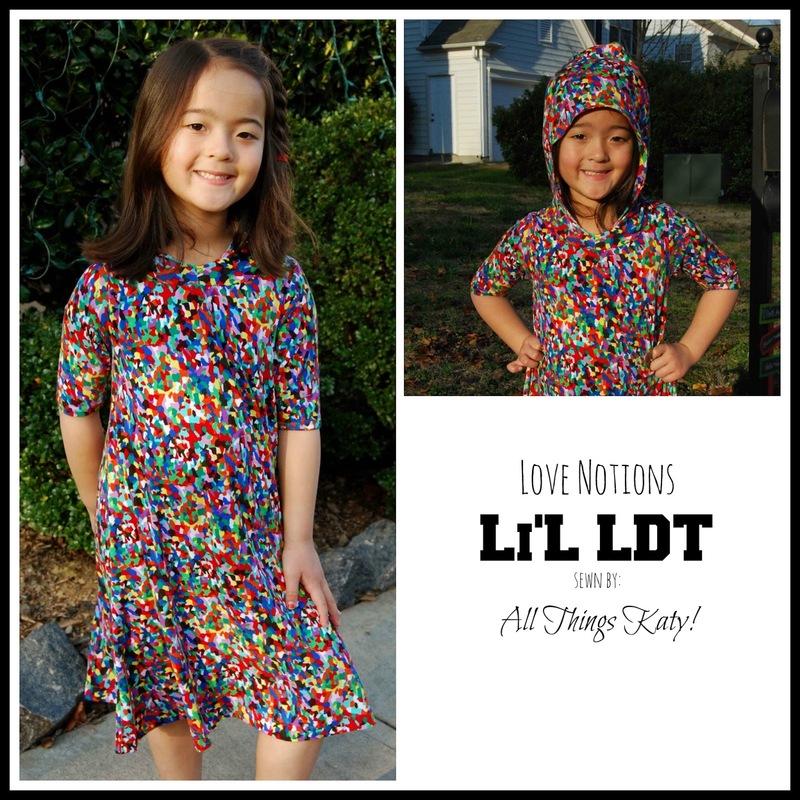 It's so simple to sew up that I think I'll be able whip up a couple more matching Love Notions Dolly Laundry Day Tees in time for Christmas morning! 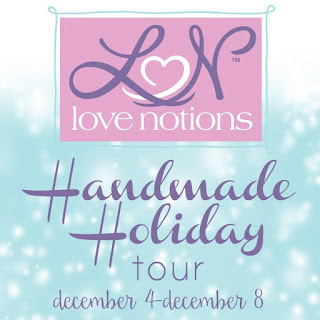 Be sure to check out all of theother super talented bloggers and sewists on the Love Notions Handmade Holiday tour!